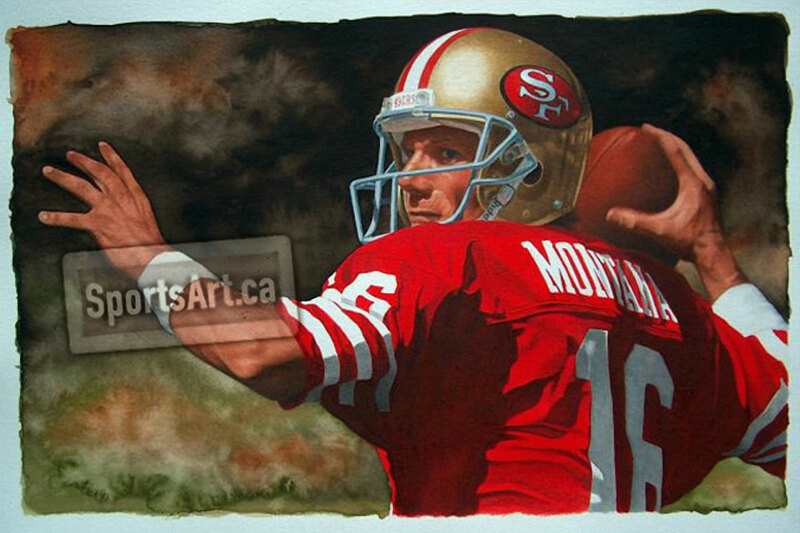 Watercolorist Glen Green captures the calm intensity of San Fransisco 49ers legend Joe Montana. 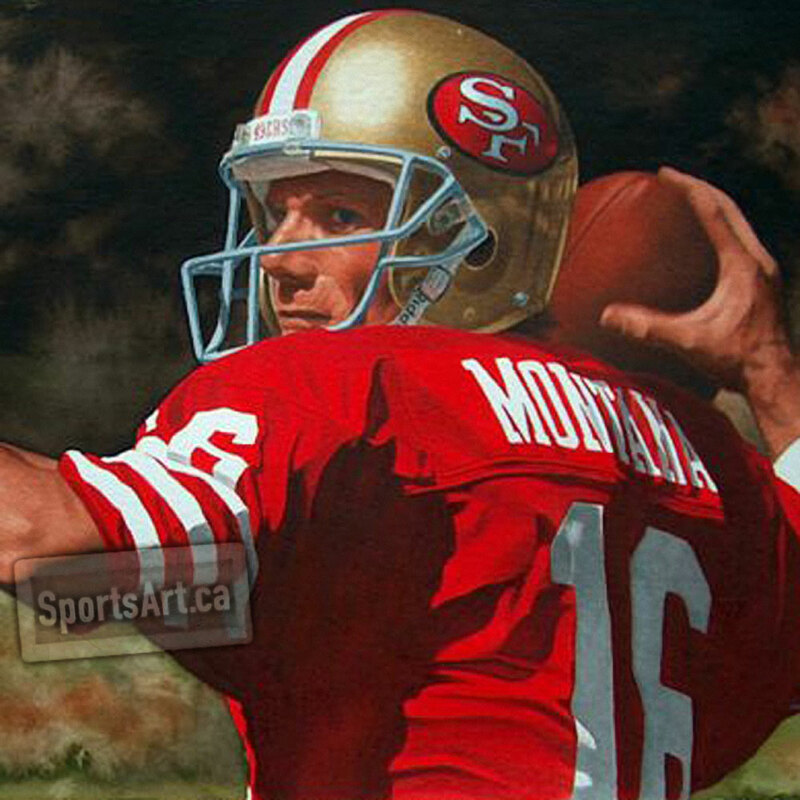 A four-time Super Bowl champion, Montana was known for his ability to remain cool under pressure. Joe Cool helped his teams to 31 fourth quarter comeback wins.